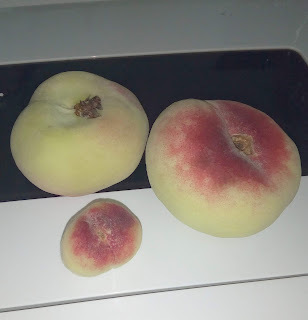 I got my hands on some donut peaches or commonly known as Saturn Peaches or UFO peaches. 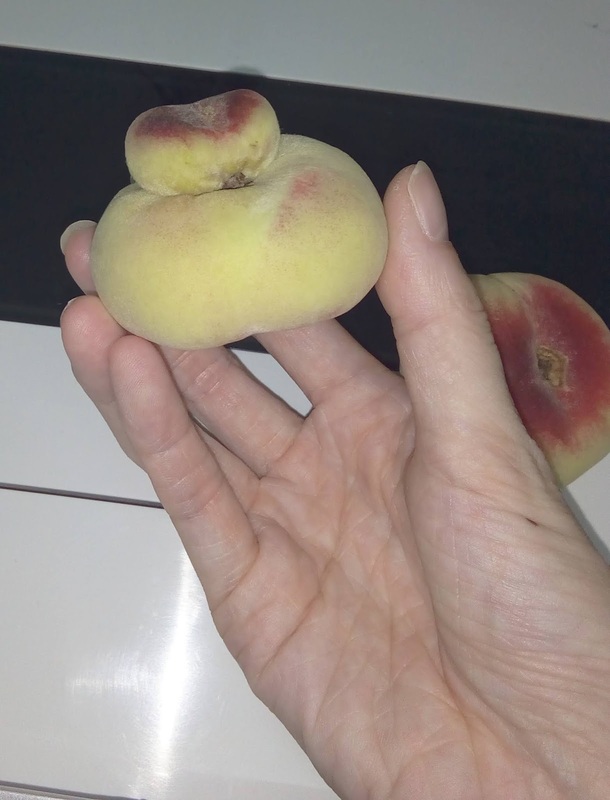 One of the peaches had a mini peach on top. 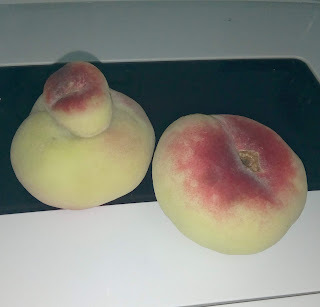 I really liked them because of the flat shape and they were easier to eat especially for people who have a small mouth. They were juicy and sweet.